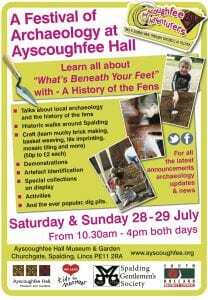 This weekend members of the Society will be taking part in the Festival of Archaeology at Ayscoughfee Hall. 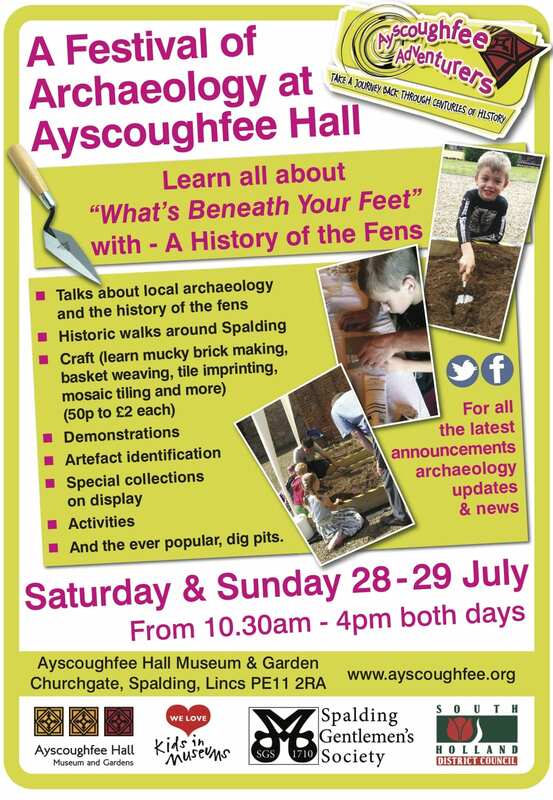 Join us in a range of activities for all ages including artefact identification, crafts, dig pits for the young (and young at heart) to try their hand at excavation. We’ll also be leading historic walks around Spalding town centre. The Festival is on 10.30 to 16.00 on Saturday July 28th and Sunday July 29th. Entry is free, although crafts will be charged between 50p and £2.